Let's play Find the Pika! 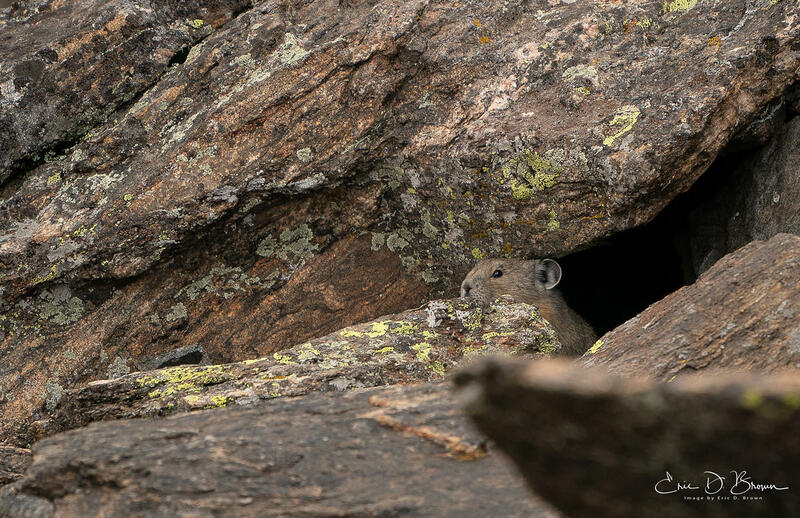 If you know where to look, these little Pikas are easy to find (and this one is pretty much center screen). When you are up in the mountains in areas with a lot of rocks/boulders, sit down and listen...you might hear them talking to each other.